PolarGlobe is a large-scale, web-based four-dimensional visualization tool allowing climate data access to anyone with an internet connection. It’s capable of illustrating changes in the atmosphere vividly in real time. 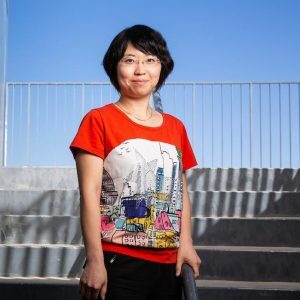 This tool was developed by Wenwen Li, a senior sustainability scientist in the Julie Ann Wrigley Global Institute of Sustainability at Arizona State University. Climate data in itself is simply massive. There’s data pouring in every day from weather stations, remote sensors, balloons, planes and observers. There’s air temperature, air pressure, ocean temperatures and wind data. Both atmosphere and ocean interact with terrain, creating more data. Analysis with partial data doesn’t give the full scope of what is a very big picture.